It’s become somewhat of a tradition over the last few years to produce a “Best of” post at the end of each year and submit it to Jim Goldstein who faithfully compiles a list of all these posts from photographers around the world so here are my top 10 images from 2010. I deliberately decided to stick with 10 images this year but that did leave me with a bit of an editing headache. Getting the picks down to 20 was no problem but when I got to 13 I had real issues and ended up having to throw out a few pictures that I really like (this one, this one and this one, for example). In the end, however, here are the images that made the cut. It may be surprising to some, but only half of these images are HDR this year. Part of the reason is that I’ve been making a concerted effort to broaden the types of photography that I do and part is that some of the most inspiring places I visited this year didn’t require HDR techniques to produce stiking images. The fact that I spent a week with Raul Touzon in Utah in February probably also influenced things somewhat since a great deal of that week was spent discussing the virtues of getting it right in the camera and not relying on post-processing. Anyway, without further ado, here are my picks in no particular order. Click on each image for a larger version. OK, I lied. The images below this one are in no particular order but this is my favourite image of the year. It was taken high in the mountains of Utah on a foggy morning in February when we made the decision to take the windy road through the hills rather than the main road in our travels from Zion to Bryce Canyon. It turned out to be an excellent decision and yielded at least a dozen images that were high on my list of candidates for this post. This particular one, however, stands out to me for the gorgeous subtlety of the colours and the amazing sharpness, detail and clarity (look at the original resolution to see what I mean). I took this with the D90 and Nikon’s amazing 24-70mm f/2.8 lens, a sharper zoom than I have ever come across anywhere else. The Zion/Bryce/Death Canyon trip started for me with a day in Las Vegas during which I wandered the strip and had about as much fun as someone who gets kicks out of architecture could have. On my return, I liked this series of reflection shots taken in the City Center complex but started fiddling in Photoshop and, by mirroring the original image a couple of times and stacking the results, I came up with a geometric abstract that really appealed to me. This is an image I would love to print large on canvas! Another highlight of the year was our now-annual Cub Scout campout at Space Center Houston. The boys and their minders spend a night in the complex doing cool science projects with the staff then get to sleep on the floor under all the exhibits. The highlight for me, though, was having access to the place in the middle of the night when no-one was crowding round the exhibits (allowing me to get shots like this one which was also in my top 20) and getting to spend some quality time in the company of the Saturn V they have down there. The trip yielded enough images of that one vehicle to have me thinking of using them as an exhibition in their own right. Of those pictures, though, this one really stands out to me. I love the contrast between the hard lines and the soft play of light. The monochrome HDR processing really brings out the texture and gives me an image that is probably my second favourite of the year. 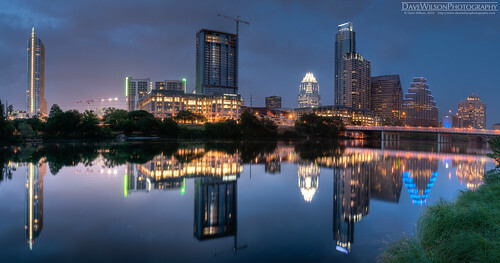 This image formed the centerpiece of my exhibition at Dragonfly Gallery at Rosedale in Austin during June. I had it printed 48″ wide on canvas and you wouldn’t believe the detail. I love the colour and overall feel of the shot but it’s probably here as much as a representative of my new interest in shooting large panoramas as for any other reason. This image is enormous and would easily print 15 feet wide with superb defintion if I could find someone with a wall large enough to hang it and a wallet full enough to afford it. The image is stitched together from 7 vertical shots, each one a 3 exposure HDR. I am proud to say that the Mayor of Austin ripped it off and used it on his official web site before I sent a nice email pointing out that he had not licensed it. Our summer road trip was a huge success and 3 of the images in this set resulted from it. 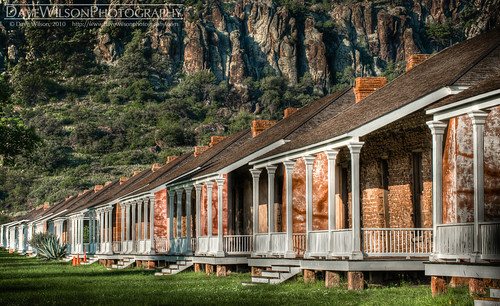 The first was taken at the Fort Davis National Historic Site in far west Texas. We were fortunate to be there after a particularly wet early summer so the landscape was green and the temperatures were, as expected, a lot lower than back in the Hill Country. This image was taken just after the fort opened at about 8:30am or thereabouts. I used a longish lens to compress the perspective of the row of nicely renovated houses and pull in the dramatic rockface behind them. Another highlight of the year for me, both photographically and musically, was to be asked to stand in as photographer for the UT Longhorn Band during two home games at Texas Memorial Stadium. What a thrill it was to march onto the field with 100,000 people cheering in the stands and to be right in amongst the band as they played both before the game and during it. I spent a fair bit of the game shooting with an ultra-wide lens, up-close and personal, and this is my favourite of those images. This was taken during the third quarter of an afternoon game when the sky offered a dramatic backdrop to the scene (aided by the fact that I set the white balance for the floodlights). The band is conducted by several people during a game and here we see Drum Major David Forinash leading from the top of the ladder. I have a couple of dozen versions of this shot but the mix of sharpness and movement in this particular frame moved it to the top of the list for me. Our summer road trip this year took is to West Texas and New Mexico and included visits to two places which are high on my list of favourites – White Sands National Monument and Santa Fe. This is my favourite image from the White Sands visit. I loved the contrast between the brightness of the gypsum sand and the sky. Incidentally, shooting here is interesting since the overall brightness is so high. To pull texture out of the sand requires some deft handling of black point and curves in Photoshop. The adobe architecture in Santa Fe is fascinating to me, being so different from what I typically see in Central Texas. 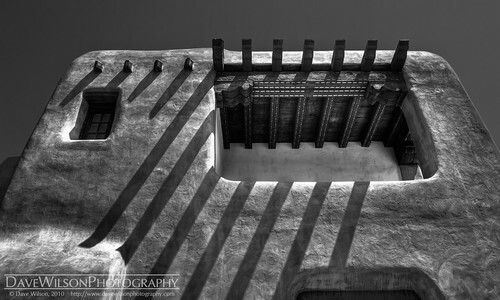 The textures of the adobe coupled with the smooth, organic lines of the buildings make for great contrasts. This image was shot on a morning when I was able to spend a couple of hours wandering around the city center on my own. The light angle was perfect to cast great shadows down the front of the building and the HDR processing (done to look pretty subtle in this case) really helped pull out the adobe texture. One of my goals over the last couple of years has been to take more pictures of people and this is my favourite non-family “people shot” of 2010. 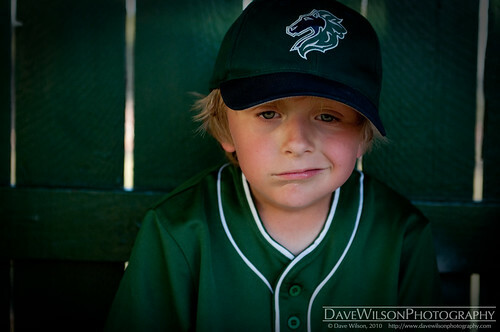 My younger son, Drew, plays in a baseball team and I often hang around with a camera capturing images of the games. The light at midday is usually pretty horrible on the field but the dugout offers a chance to take some candid portraits in a nice soft light. In this one, Jeffrey was obviously having a bad day! Incidentally, they went on to win this game so I expect his mood improved later. This image is one of a set of 3 that I included in my exhibition in June. 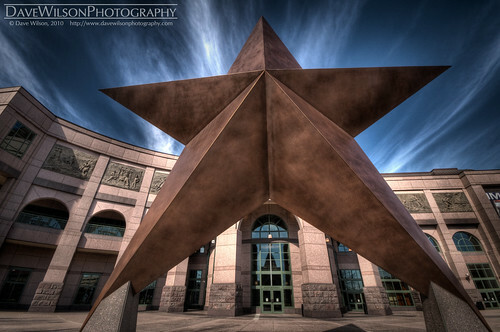 All three were taken within 10 minutes and show different aspects of the huge Lone Star sculpture outside the Texas State History Museum in downtown Austin. The air was crystal clear that morning and the high cirrus clouds offered a wonderfully dramatic background. 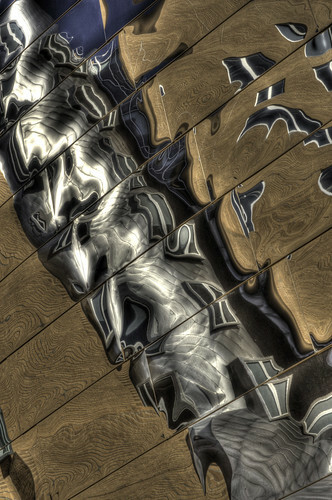 This image was taken during a trip to Boston in October and shows a reflection in some very shiny stainless steel panels forming part of the fascinating Frank Gehry designed Stata Center building at MIT. I have several “normal” images of this building and I’m happy with them but this abstract appeals to me even more. The warping of the brickwork in the reflection makes this a very interesting image to me. All are wonderful images. My favorite is still the White Sands. Take care and have a great Christmas! Amazing Selection of your works…!!! .-= Oscar Navarro´s last blog ..Stairs to nowhere =-. Fantastic collection Dave! Great work! You have a wonderful collection of amazing shots my friend. Very nice collection, Dave. I enjoyed looking and reading through this post. Great work! Thanks all! I look forward to reading your 2010 wrap-up posts too. These are awesome Dave, looks like you had a great 2010. It’s been great connecting with you this year! Thanks, Jacob. I’m very glad to have “met” you this year too. I look forward to seeing more of your work in 2011. .-= simon´s last blog ..Recap of 2010 in pictures =-. I love the people shots and the architecture! Wow! I guess that I will have to get out a bit more and check out my home town of Las Vegas! .-= Chris´s last blog ..Long Horned Beetle- Madera Canyon AZ =-. You have an interesting eye for compositions. Standouts for me include Las Vegas City Center, Fort Davis, and Lone Star. .-= Steve Cole´s last blog ..Bill Zeller =-. Lots of great images. I really like the city centre abstract of Vegas and the White Sands. These are all incredible! I think I love the first and the last especially. .-= Jessica S.´s last blog ..Alice in Wonderland =-. Beautiful set of images, my fav would be the “Rippled Ridge” from White Sands. Cheers to 2010! 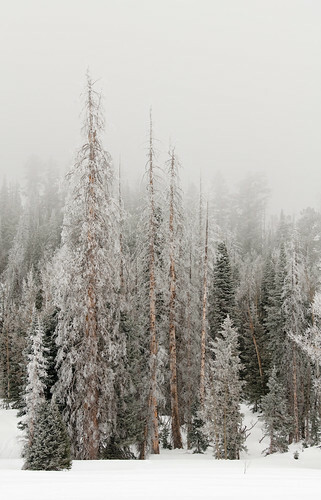 .-= Sudheendra Kadri´s last blog ..Mist and Trees- Hope Valley- California =-.